Zach is a physical therapist and Dana is a self described Crossfit “fiend”. 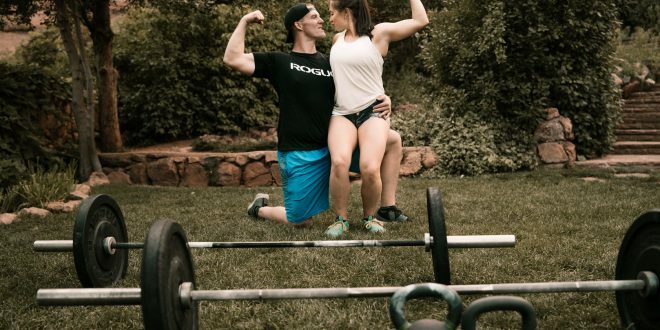 They share a passion for working out, so when David, of Dgass Photography, challenged them to think outside the box and showcase their personalities for their engagement shoot they went for it! This adorable couple grabbed some weights and rocked an outdoor workout at Red Rocks Amphitheater just outside Denver, CO before changing to pose for some more traditional shots. We just love how much of Dana and Zach’s personality shines through in these images and hey, they’re both gaining a workout buddy for life!